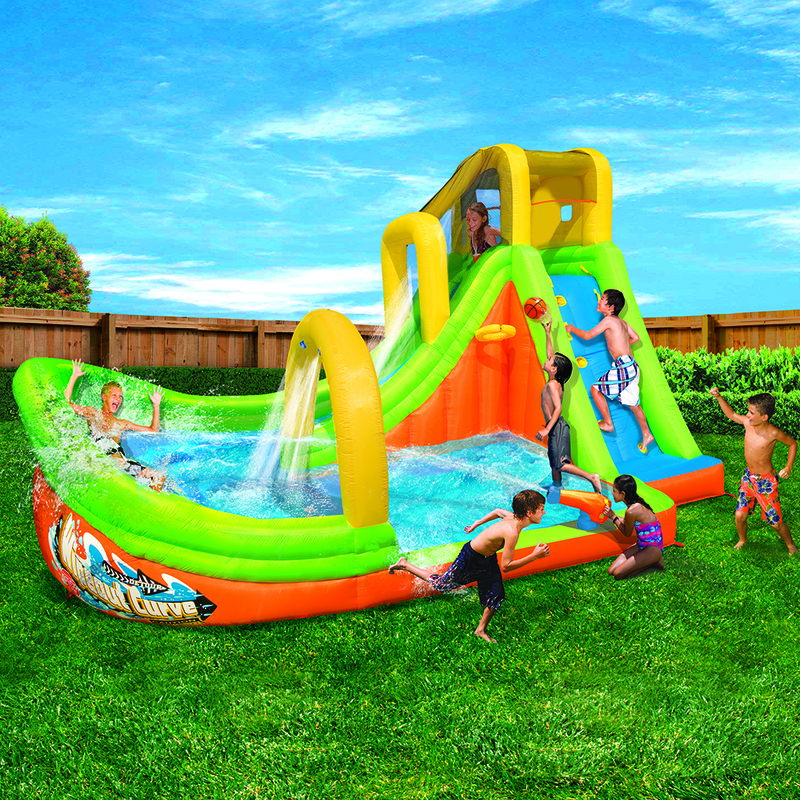 Wipeout Curve Water Park | Banzai | Backyard Fun! 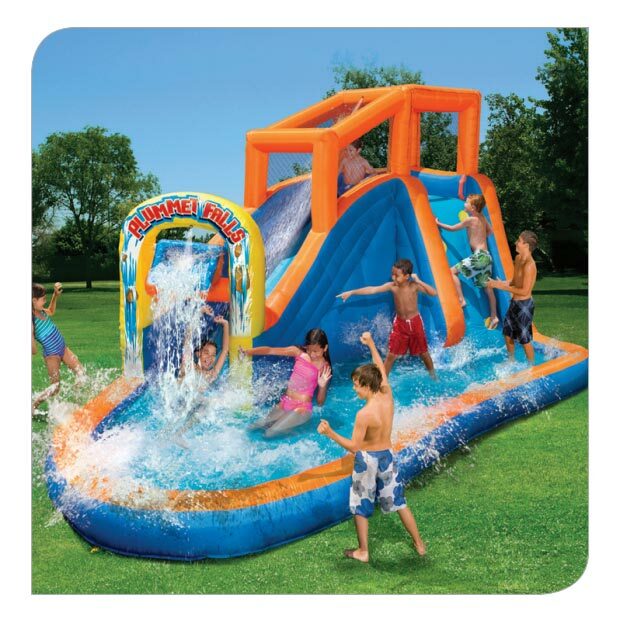 Watch out for the Wipeout Curve Water Park! 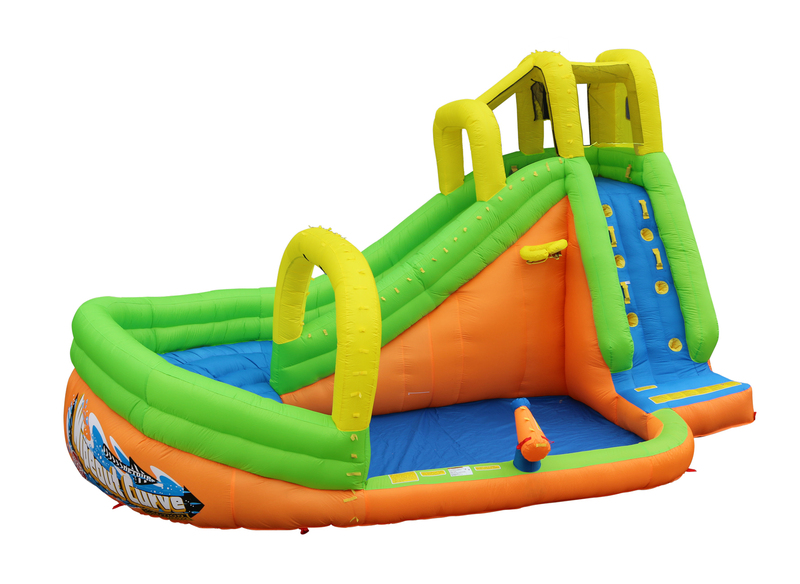 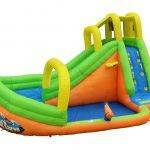 Make your way up the climbing wall and slingshot down the bank-curved slide for a wet and wild ride. 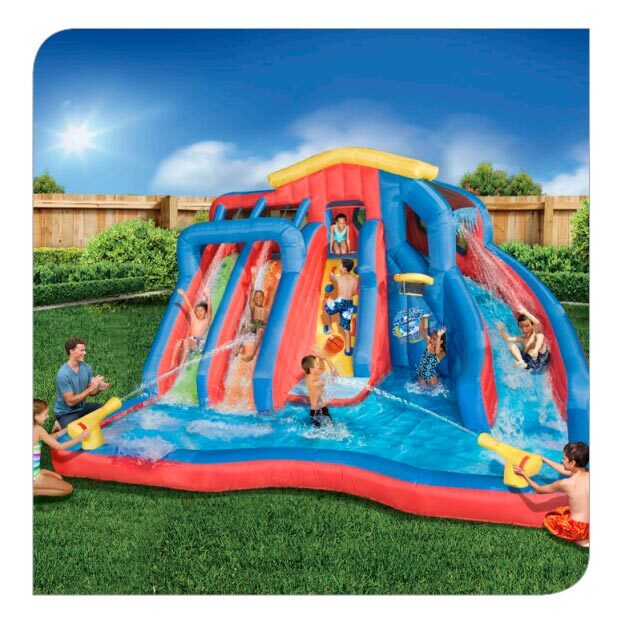 But the fun doesn’t end with your giant splash landing—stay cool in the activity lagoon and can challenge your friends to some basketball or drench them with the water-blasting cannon. 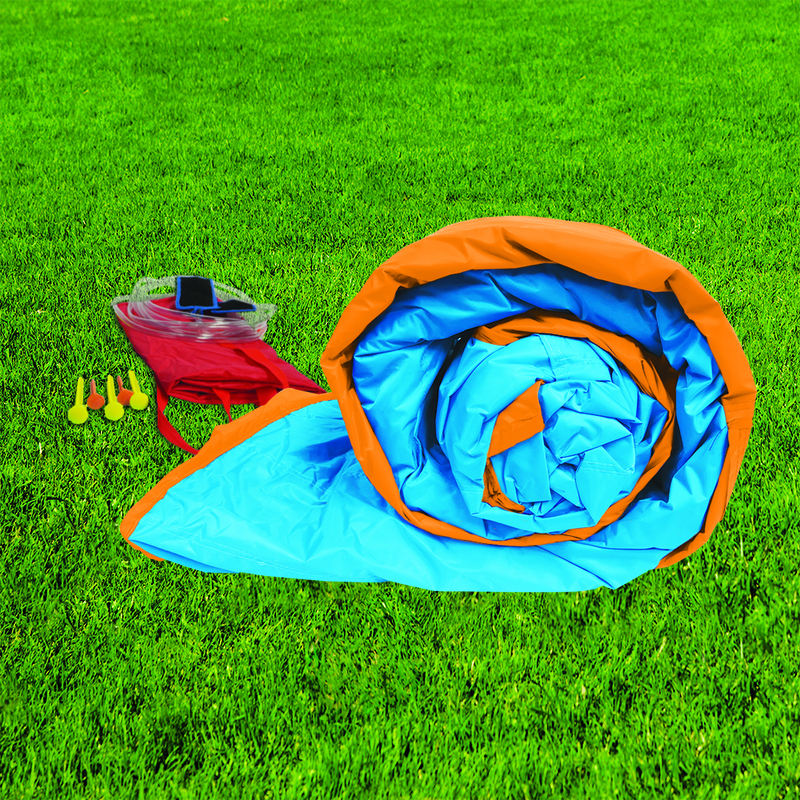 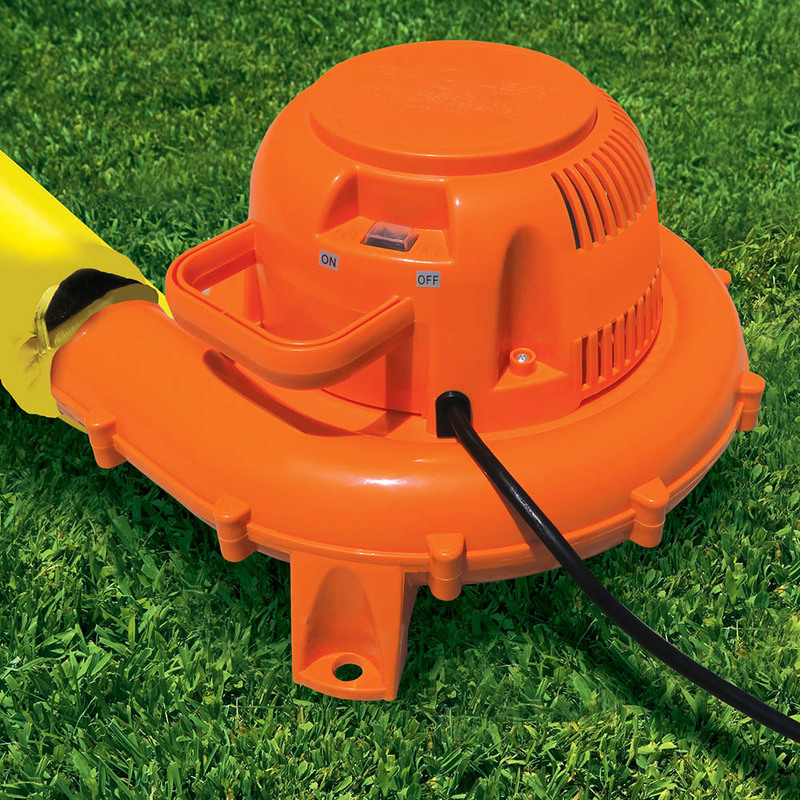 With the included continuous blower motor, all of this fun inflates in less than 3 minutes. 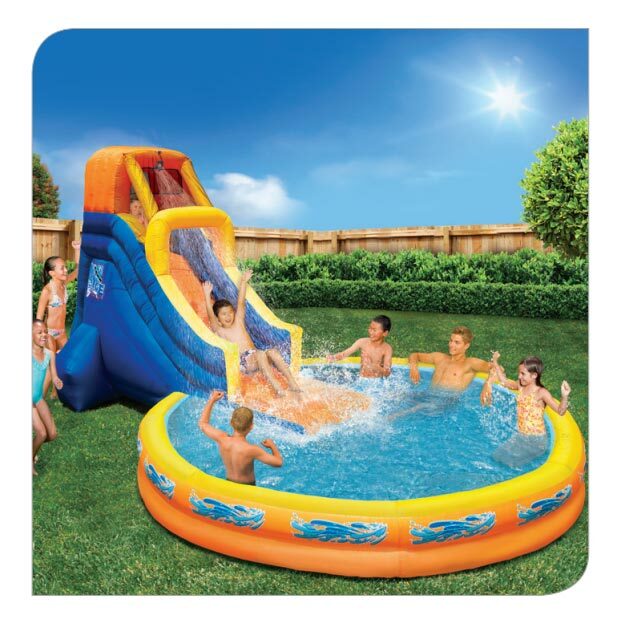 Heavy-duty Dura-Tech construction ensures lasting strength and durability. 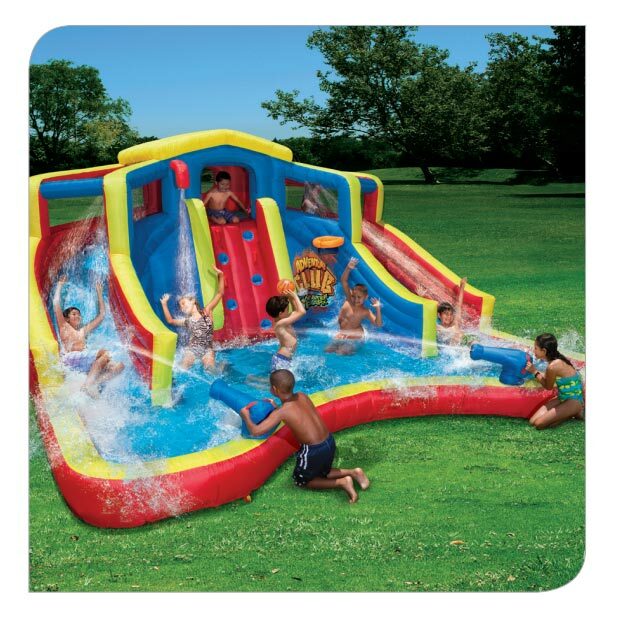 It’ll be a blast!